In today’s computing age, it is important to at least know the basics of operating a smartphone, personal computer or laptop. This is important for kids as well since almost everything in the modern world is operated using a computer. Kids are great learners especially when they are started young. Kids are also great explorers so discovering computers early on will help them in real life. Computers are common fixtures in everyday lives and kids are naturally drawn to them. In fact many households today have at least one laptop or desktop computer or both. While letting kids play with the PC or laptop is alright for most part, kids will need parental supervision when doing so. A laptop especially designed for kids however does not need a lot of supervision. Instead kids and parents together can discover the features of the laptop and parents need not worry that their kids will be going to adult sites. Another reason to buy your kids a kid-friendly laptop is to improve their manual dexterity skills and hand-to-eye coordination. While this comes quickly to many kids, children at an early age can learn to master this skill which they can use until adulthood. While the kiddy laptops are still a far cry away from the laptops they will be using as adults, the basics will already be there. They will know which buttons to press or how type letters at an early age. 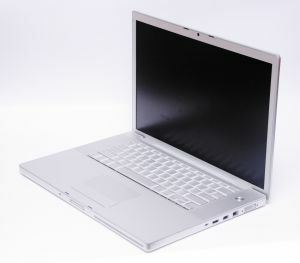 There are also play and learn laptops parents can buy for their kids. This makes learning just like play time where games are integrated with the games kids usually play. This kind of laptop can greatly contribute to a child’s learning abilities. Play and learn laptops are a fun way to learn school subjects such as math, science, language and even foreign language. Kids these days have many advantages compared to kids a generation ago especially when it comes to technology and the internet. While no toy can ever substitute a parent, it is important to note that these kinds of toys can become a bonding tool for parents and their children.